Click here or the image above, to view their web site. On an annual basis, in conjunction with the Acadian Festival, the Madawaska Historical Society celebrate Acadian Families. Its "office" is located in the Library Building, Main Street, Madawaska, Maine. The Society, a non-profit corporation founded in 1968, has as its primary purpose the preservation of historical, social and cultural values of the Madawaska Territory. It serves the people by disseminating information relative to the people of the St. John Valley. 1968 - The Madawaska Historical Society was the first historical society founded in the St. John Valley. Its founding President was (my good friend), Geraldine P. Chasse. 1969 - Organized and sponsored the 1969 Centennial Pageant, "Deja 100" and many other centennial events. Started a weekly historical column in the St. John Valley Times that ran for seven consecutive years. President was Geraldine P. Chasse. 1970 - The Madawaska Centennial Log Cabin was purchased and became the first museum in the St. John Valley. Sales of publications started. President was Geraldine P. Chasse. 1971 - Land was purchased next to the St. David Church and the Log Cabin Museum was moved to its present location. President was A.J. Michaud. 1972 - Senior citizens were interviewed and over 100 tapes on oral history were made and donated to the Madawaska Public Library. President was Guy Dubay. 1973 - The old Albert Home was donated to the Historical Society. Three historic landmarks... the Acadian Landing Site, the St. David Church and Mt. Carmel Catholic Churches, were listed in the National Register of Historical Places. Reprinted the book "In Fair Aroostook" by Clarence Pullen. "An Acadian Heritage" by A.J. Michaud was published under the patronage of the Society. President was Geraldine P. Chasse. 1974 - The Log Cabin Museum was officially named "Tante Blanche Museum". Elena Bourgoin, a 1974 Madawaska High School graduate, was recipient of the first A.J. 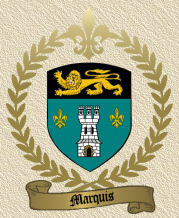 Michaud Memorial Scholarship, for the study of history. President was Gilman Hebert. 1975 - Mt. Carmel Cemetery restoration undertaken as a Bicentennial Project. Published "Madawaska... A Chapter in Maine-New Brunswick Relations" by Charlotte Melvin. President was Gilman Hebert. 1976 - Mt. Carmel Cemetery dedicated as a Memorial Historic Site. Presented in conjunction with Fraser Paper Limited, Guy Dubay's three-act play entitled "With Justice For All". Carved a giant Liberty Bell, now on display in the schoolhouse. President was Gilman Hebert. 1977 - The District 1 schoolhouse moved to a parcel of donated land, behind the museum, and restored. More land purchased for the Acadian Landing Site and roadway to the Acadian Cross. President was Austin Wylie. 1978 - FIRST ACADIAN DAY... June 28, 1978! Madawaska town officials and the Maine State Legislature designated June 28, 1978, as Acadian Day in Maine. 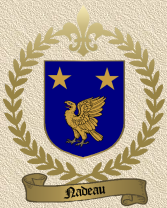 The Acadian Flag was presented to Governor Langley and flew over the Capitol Building. President was Cecile Pozzuto. 1979 - SECOND ACADIAN FESTIVAL - What started as a one-day observation, now a week-long celebration. Reprinted "How the Acadians came to Maine" by Lawrence Violette. Photo project "Preserving the Past and Future", was started... collecting, identifying and preserving old photos of the area. President was Cecile Pozzuto. 1980 - THIRD ACADIAN FESTIVAL and FIRST FOUNDING FAMILY REUNION. The family of Joseph-Simon DAIGLE, the leader of the colony, was honored. 800 registered for the Daigle Family Reunion. Joined other Valley Societies in organizing an exhibit for the Maine State Museum. Were recognized nationally by the American Association for State and Local History, for preserving and interpreting the Acadian heritage in the St. John Valley. President was Claude L. Cyr. 1981 - FOURTH ACADIAN FESTIVAL and SECOND FAMILY REUNION. 2,600 CYR's register for the reunion. President was Claude "Blackie" L. Cyr. 1982 - FIFTH ACADIAN FESTIVAL and THIRD FAMILY REUNION. 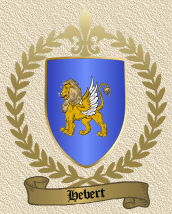 HEBERT descendants number 867. Participated in the exhibit "Chez-Nous... the St. John Valley" at the Maine State Museum. Purchased a microfilm reader and microfilm of the St. Basile vital statistics and Maine census. President was Claude L. Cyr. 1983 - SIXTH ACADIAN FESTIVAL and FOURTH FAMILY REUNION. 1,042 DUFOUR's sign the guest book. A publication, "Chez-Nous... the St. John Valley" by Guy Dubay was written to complement the museum exhibit and its themes. President was Guy Dubay. 1984 - SEVENTH ACADIAN FESTIVAL and FIFTH FAMILY REUNION. 950 THIBODEAU's register for their grand reunion. Austin Wylie recognized at seventh Acadian Banquet, for having initiated Acadian Day observance. President was Bertrand CYR. 1985 - EIGHT ACADIAN FESTIVAL and BICENTENNIAL CELEBRATION (1785-1985). The remaining Founding Families held a family reunion; The AYOTTE, DUPERRE, FOURNIER and MERCURE Families. 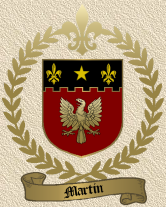 No descendants of the POITIER and SANFACON families were present, even though they were among the Founding Families of 1785. Dedication of the Acadian Cross Historic Shrine commemorating the 200th anniversary of the arrival of the first settlers to the St. John Valley held on June 30, 1985. Two Bicentennial publications... the English translation of "L'Histoire du Madawaska" by Dr. Francis Doucette and Sister Therese Doucette, and a pictorial history "Madoueskak 1785-1988" by Cecile Pozzuto. President was Bernette Albert. 1986 - NINTH ACADIAN FESTIVAL and SIXTH FAMILY REUNION. Approximately 2,000 attended the PELLETIER Family Reunion. The first International Historical Tour of the Madawaska Territory took place during the Pelletier Family Reunion. The Maine League of Historical Societies and Museums recognized the Society for outstanding contribution to State and Local history. President was Norman M. Cyr. 1987 - TENTH ACADIAN FESTIVAL and SEVENTH FAMILY REUNION. Approximately 1000 PLOURDE descendants gather for a family reunion. President was Norman M. Cyr. 1988 - ELEVENTH ACADIAN FESTIVAL and EIGHT FAMILY REUNION. More than 1000 OUELLETTE's present for a family reunion. President was Bernette Albert. 1989 - TWELFTH ACADIAN FESTIVAL and NINTH FAMILY REUNION. Approximately 1500 PARADIS participated in the Paradis Family Reunion. Fraser Paper Limited donated funds to purchase a microfiche viewer for the Genealogy Research Center at the Public Library. A "Steven A, Pelletier Memorial Scholarship", to be awarded annually to a deserving Madawaska High School graduate, was established. President was Bernette Albert. 1990 - THIRTEENTH ACADIAN FESTIVAL and TENTH FAMILY REUNION. Two thousand BOUCHARD's celebrate their roots. Official opening of the Albert Homestead. Second English translation of "L'Histoire du Madawaska", published. 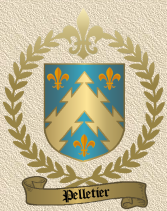 The Maine Acadian Culture Preservation Act passed in Congress. President was Daniel Berube. 1991 - FOURTEENTH ACADIAN FESTIVAL and ELEVENTH FAMILY REUNION. Approximately 1000 SIROIS attend the Sirois/Duplessis Family Reunion. A stone enclosure was built around the base of the Acadian Monument. President was Carol Waltman. 1992 - FIFTEENTH ACADIAN FESTIVAL and TWELFTH FAMILY REUNION. The COTE Family register 1,509 at their reunion. 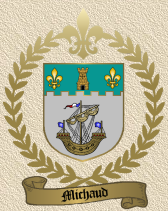 Two Historical leaders appointed the Acadian Cultural Preservation Commission... Geraldine P. Chasse and Claude L. "Blackie" Cyr. A cookbook, "Reunion Family Recipes", published and sold out before the end of the year! A special collections room was added to the Madawaska Public Library, to store the genealogy materials, Maine collection, photo albums etc. President was Claude L. Cyr. 1993 - TWENTY-FIFTH MADAWASKA HISTORICAL SOCIETY ANNIVERSARY, SIXTEENTH ACADIAN FESTIVAL and THIRTEENTH FAMILY REUNION. It's the THERIAULT Family's turn to celebrate their Acadian Roots. President was Claude L. Cyr. The above noted, re-printed (with permission) from Volume 111, No. 4 (1993) Newsletter of the Madawaska Historical Society. 1994 - SEVENTEENTH ACADIAN FESTIVAL and FOURTEENTH FAMILY REUNION. The ROY Family Reunion is held. President was L. James Lavertu. 1995 - EIGHTEENTH ACADIAN FESTIVAL and FIFTEENTH FAMILY REUNION. The CHASSE Family Reunion is held. President was L. James Lavertu. 1996 - NINETEENTH ACADIAN FESTIVAL and FIFTEENTH FAMILY REUNION. 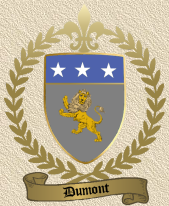 The LEVESQUE Family Reunion was held on June 28, 29 and 30, 1996. Additional information available from P.O. Box 146, Frenchville, Maine 04745 or C.P. 293, Edmundston, New Brunswick E3V 3K9. Chairman Don Levesque can be reached at (207) 728-3336 or (506)739-6201. 1997 - TWENTIETH ACADIAN FESTIVAL and SIXTEENTH FAMILY REUNION. 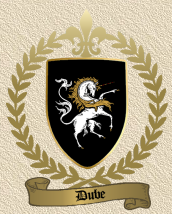 The DUBE/DUBAY/DUBY Family re-union is scheduled to be held in 1997. Linda Dube and Warrena Dube-Morin are the prime organizers. For complete details, connect to: "The 1997 DUBE Family Reunion"
2000 - TWENTY-THIRD ACADIAN FESTIVAL and NINETEENTH FAMILY REUNION. The MIVILLE-DESCHENES family reunion was held. 2001 - TWENTY-FOURTH ACADIAN FESTIVAL and TWENTIETH FAMILY REUNION. The PICARD family reunion was held. 2002 - TWENTY-FIFTH ACADIAN FESTIVAL and TWENTY-FIRST FAMILY REUNION. The MARTIN Family Reunion will be held June 27-30, 2002. Contact the President, Gerry Martin via e-mail at: [email protected] It may interest you to know that I have been invited to attend (and participate) in this well-planned Reunion. I personally attended and conducted FOUR genealogy seminars at the Madawaska High School. 2003 - TWENTY-SIXTH ACADIAN FESTIVAL and TWENTY-SECOND FAMILY REUNION. A MICHAUD family reunion will be held this year. Bernard Michaud is the President of the Family Reunion this year and additional details on the planned activities, can be found at the Michaud Reunion web site. As noted on their web site, organizing meetings are being held at the Madawaska Library. Any questions or comments can be directed to... [email protected] or by regular postal mail to Michaud Family Reunion 2003, P.O. Box 473, Madawaska, ME 04756. I will be attending and conducting genealogy workshops again this year. 2004 - TWENTY-SEVENTH ACADIAN FESTIVAL and TWENTY-THIRD FAMILY REUNION. The GENDREAU (Jandreau, Johndro) Family will be meeting, under the capable leadership of Rosanna Gendreau, Association President. Contact Rosanna if you would like to join the organizing committee and/or have any suggestions to offer. For added information, connect to the Gendreau web site at http://www.gendreaureunion.com and/or the Town of Madawaska site at http://www.townofmadawaska.com (under the Chamber of Commerce tab). Acadian Festival - Madawaska - The State of Maine's Largest Cultural Festival. Events include a reenactment of the first Acadian landing in northern Maine, traditional Acadian supper, a softball tournament, barge rides on Long Lake, entertainment, cultural displays, a festival parade, "Festival Famillial" and much more. The Festival is held each year in conjunction with a huge family reunion, honoring one of the Acadian pioneer families. This year it will be the DIONNE family. Added information can be sourced from the Executive Director of the Greater Madawaska Chamber of Commerce, Dennis Michaud. The President of the Dionne Family Reunion is Nancy Lavertu, 474 Grandview Street, Madawaska, Me. 04756 She can be contacted at telephone 207-728-6294 or via email at [email protected]. This year the CARON'S will hold their family reunion, in conjunction with the Madawaska Acadian Festival. Preliminary information is available from Murielle Deschaine, one of the main event Organizer. This year the LAGACE/LAGASSE'S will hold their family reunion, in conjunction with the Madawaska Acadian Festival, June 28 - 30, 2007. 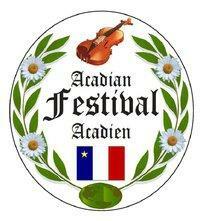 Preliminary information is available from the Acadian Festival Committee, 328 St. Thomas St., Madawaska, ME 04756 Tel: (207) 316-7980; or (207) 728-6250; Fax: (207) 728-3611. Nancy Lavertu is President of the Lagace/Lagasse Family Reunion Association and may be contacted at 207-728-6294. Jane Michaud is the Vice-President of the Association and she can be contacted via email at: [email protected], Connect to their web site at http://www.lagacereunion.org/ for added information. Each year, in conjunction with the Acadian Festival, a family reunion is held, celebrating one of the Valley's pioneer families. This year, we are honored to celebrate the GUERRETTE family. We are excited to welcome everyone to our beautiful St. John Valley and we hope that you will enjoy the festivities. Participation in events is NOT limited to the hosting family. The public is encouraged to join in any activity that you may be interested in. Click here to view detailed schedule. Our 225th Anniversary, this Festival Tradition remembers the historic 1785 arrival of the Acadians to the St John Valley by bateaux and this year honors the GAGNON Family. Horse drawn wagon shuttle, available from the St David Church. Location: Acadian Cross Landing Site, US Route 1. 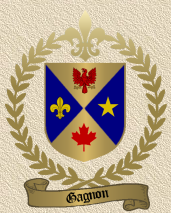 The Secretary of the Madawaska Acadian Festival has just confirmed that... "not only are we having the CYR Family Reunion next year, but the Madawaska Acadian Festival is announcing the end of an era as well. For the last 33 years the Festival revolved around the 28th of June, which is the Franco-American Day in Maine. As of 2011 the new Acadian Festival dates will be August 11 to 15. Also, we will incorporate activities on the other side of the river in Edmundston, New Brunswick". The 2011 Acadian Festival Committee, would like to welcome you to the 34th Annual Acadian Festival. This year marks a new beginning for the Festival, as we are celebrating it for the very first time in August, in order to incorporate the International Acadian Day of August 15. Also this year, we are introducing our 2nd Annual Theme, "À travers les frontières", "Beyond Borders". We will incorporate activities in Canada within the Festival as a mean to unite our Canadian neighbors within our festivities. 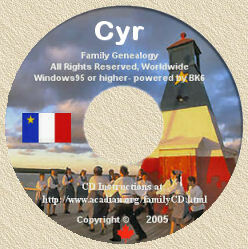 "The Cyr Family has been chosen to be the host family for the 2011 Acadian Festival. During the Festival we are planning special events for the Cyr's. Such events include a talent show, banquet, special Mass and many other events that will be posted as we get closer. Cyr family souvenirs will be available as well as handcraft, local cuisine, and bilingual hospitality. 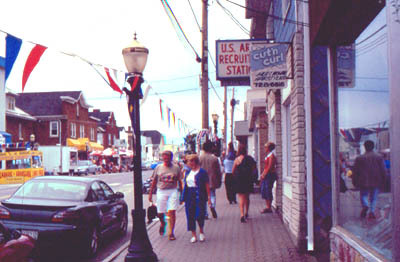 Madawaska, the most northern town in the northeast, borders New Brunswick, Canada. Our French roots are still visible and intact due to the close proximity of many French communities in Canada. Come see the picturesque landscapes and breathtaking views of the St .John Valley at its best. A warm reception and friendly hospitality await you." For added information on the Cyr Family reunion... or to volunteer your services, email [email protected]. 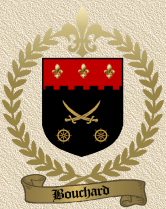 Also, be aware that I will be conducting Acadian Genealogy Seminars during the Family Reunion and will have my genealogy CDS available for sale as well as some copies of the "History of the Cajuns" book. 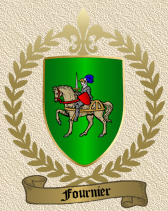 I will also be making genealogy presentations in Edmundston, New Brunswick, on behalf of "La Sociétée Louis-Napoléon Dugal". Hope to meet-up with many of my Internet 'cousins', there! The Organizing Committee has announved that the 2012 Acadian Festival will host the Gervais [Dit Talbot] Family Reunion. The Acadian Festival is Maine's Largest Cultural Festival. Events include a re-enactment of the first Acadian landing in northern Maine, traditional Acadian supper, Soiree du bon Vieux Temps (Night of good old times), traditional cultural displays, Golf Tournament, Family Fun Day, a Festival parade, "Party du Main Street" and much more. The Festival is held each year in conjunction with a huge family reunion.